Surgery can save or enhance the lives of patients, but when mistakes are made in the operating room, some suffer grievous harm instead. Preventable surgical error is a form of medical malpractice. If you or your loved one has been the victim of surgical malpractice, you need an attorney. Foley Law Firm, serving Stroudsburg and Scranton, PA, has handled a large number of medical malpractice cases, obtaining substantial compensation for clients. Call (800) 523-6539 or reach out to us online to schedule your complimentary case review. Because any type of surgery involves risk, a favorable outcome is never guaranteed. If a doctor's actions fall within a widely accepted medical standard of care, they most likely will not constitute malpractice. However, if you received substandard treatment that has caused you harm, you may have grounds for a medical malpractice case. Core procedural mistakes – The surgeon makes an incision in the wrong area or operates on the wrong body part. Damage to adjacent tissue – A preventable accident causes injury to a nearby organ, nerves, or other tissue. Anesthesia errors – The anesthesiologist fails to administer an appropriate dose of medication or fails to properly screen the patient before surgery. Failure to remove surgical tools – The surgeon accidentally leaves a foreign object in the patient’s body. 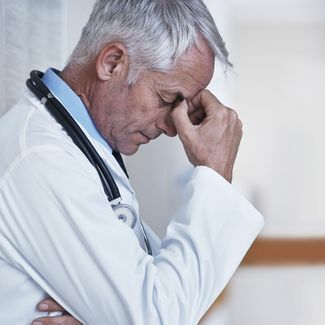 Reckless or inappropriate decisions – While fatigued or under unexpected pressure, the doctor makes an unusual, damaging decision. Sanitation mistakes – The surgical team or hospital fails to employ proper sterilization and sanitation practices, resulting in infection or other complications. Failure to monitor – A nurse or technician fails to monitor equipment or vital signs, causing injury. Pre-op or post-op mistakes – The doctor fails to inform the patient of risks, discharges a patient prematurely, or fails to follow up after surgery. Complex medical malpractice cases must be meticulously investigated and carefully handled. Foley Law calls upon the help of medical doctors to analyze and interpret technical evidence for most malpractice claims. We work to establish clear negligence. At the same time, we document and demonstrate the resulting losses suffered by our clients. In many of these cases, liability for the patient's injury is shared among several parties. A surgical malpractice case may also involve claims of hospital error, equipment malfunction (product liability), or failure to diagnose a pre-existing condition. Many victims of surgical error contend with painful, debilitating injuries. There may be a resulting ongoing need for help with daily activities as well as a number of lifestyle adjustments for the victim and family. Settlements or jury awards are meant to cover these damages, including present and future medical costs, lost income, pain and suffering, and more. Foley Law has been instrumental in the disbursement of multi-million dollar recoveries for a number of medical malpractice victims. If you or a member of your family has suffered because of a surgeon's error, the dedicated attorneys at Foley Law would like to talk to you. We handle these cases on a contingency fee basis, meaning we do not receive our compensation until you receive yours. To schedule a free consultation, please call (800) 523-6539 or use our online form to contact us.